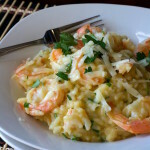 risotto Archives - What the Forks for Dinner? When we first posted this recipe Instant Pots were called Electric Pressure Cookers. Who knew that three years later, Instant Pots would be a sensation? 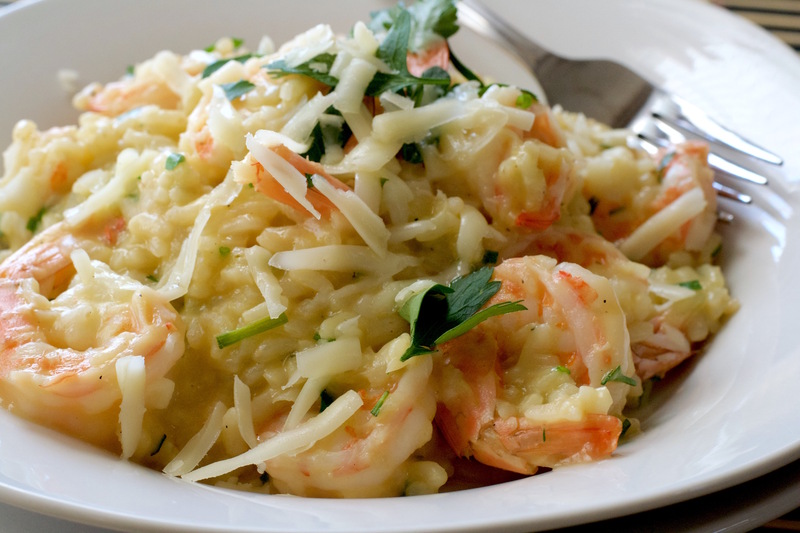 And Asiago Shrimp Risotto would be our #1 recipe! 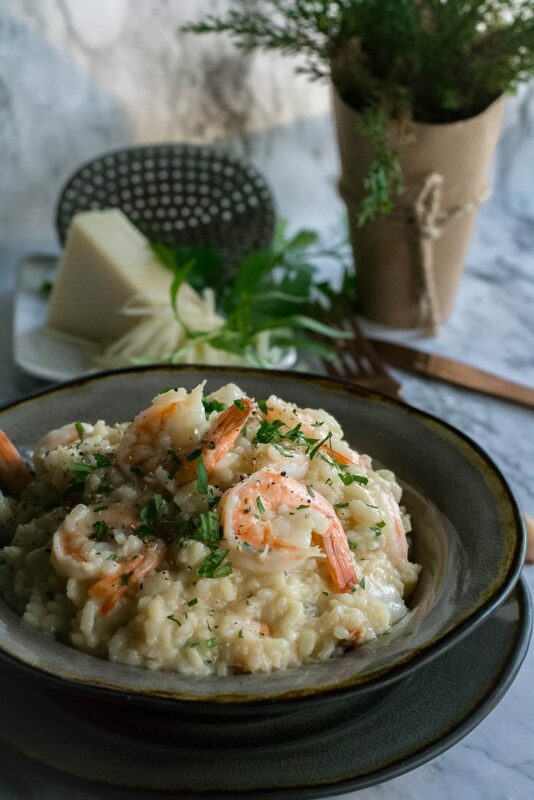 Instant Pot Asiago Shrimp Risotto is a repost of that recipe with much better pictures! I have mentioned before my love of the electric presser cooker I bought last year. Seriously get one!!!!!! Then you can make Asiago Shrimp Risotto in nothing flat! 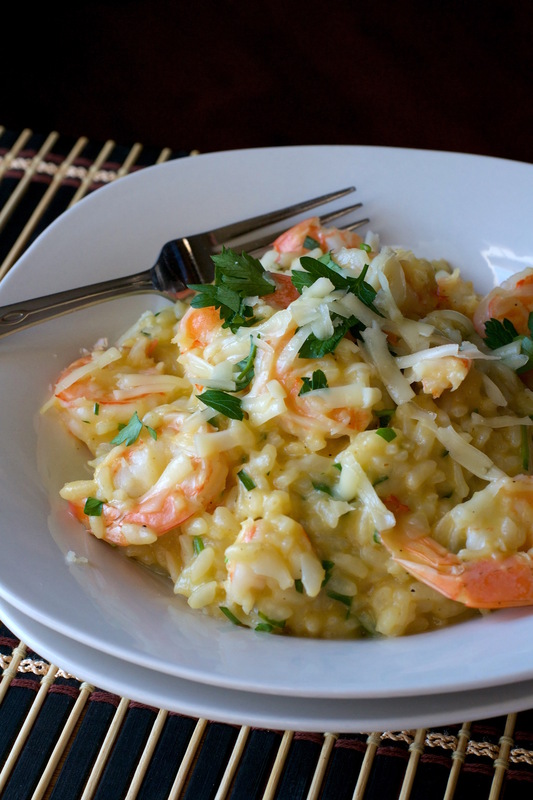 If you have never made risotto before, it is a labor of love. Heating stock, sautéing onions, garlic, and rice, then adding stock cup by cup, all the while stirring constantly. The whole process is at least 30 minutes. And unless you switch arms every so often, you will end up with a Popeye arm….lol. 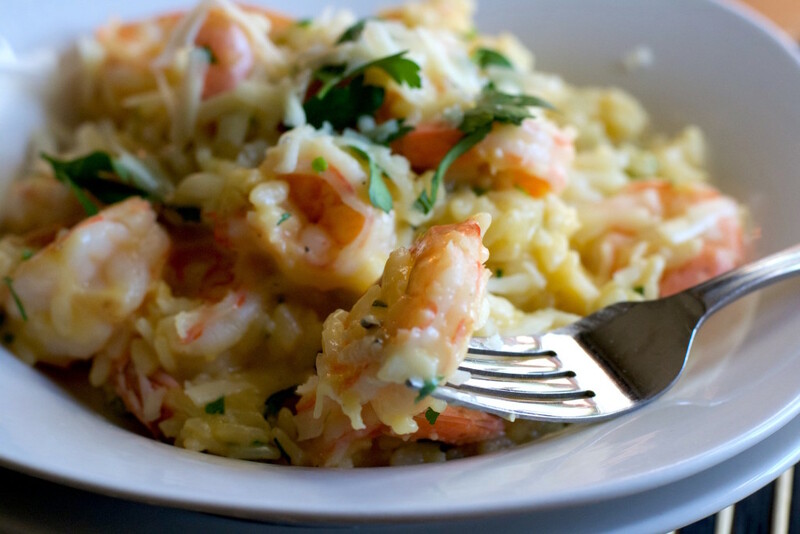 This version is a quick, easy, no-stir, and delicious! This is where the pressure cooker comes in. When….notice I didn’t say if…….you get a presser cooker, look for one with a rice setting and a sear setting. Makes all kinds of one pot meals. Cooker set on sear, I melted butter and sautéed the onion and garlic. Added the rice and cooked for just a minute, a splash of white wine and a few more seconds…..just to cook off the alcohol. Then the chicken stock. I like stock better than broth, it has a richer flavor. A quick stir and then the lids goes on and the cooker is set on the rice setting for 10 minutes. Once cooked let the steam out, set the cooker back to the sear feature. Add the shrimp, more stock and cook until the shrimp are opaque. 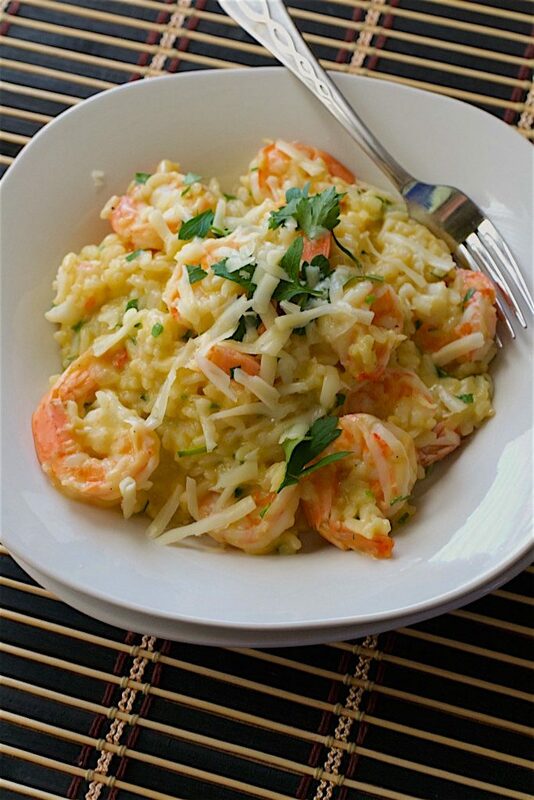 Add cheese, butter and herbs……….Asiago Shrimp Risotto!! 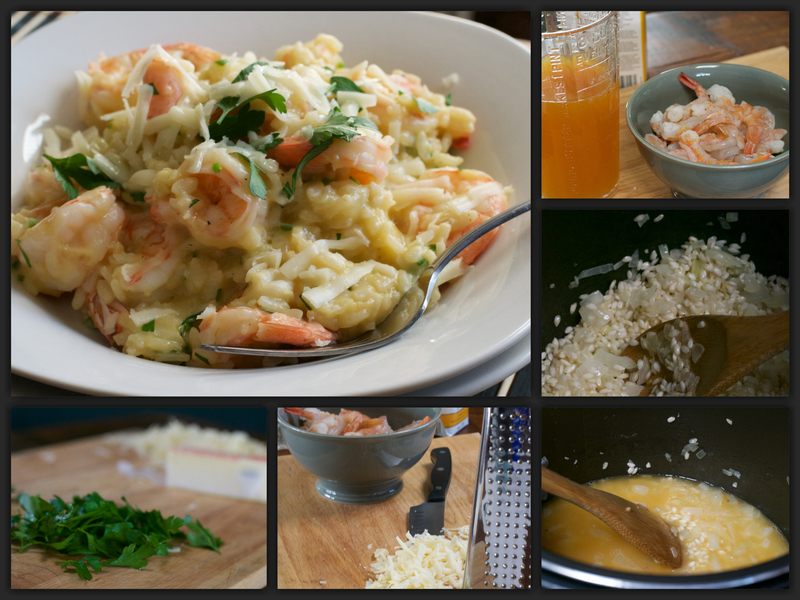 In 20 minutes and with little effort you can have creamy, cheesy, risotto, loaded with shrimp and fresh herbs. Without any pressure except from the cooker!!!!! In an electric pressure cooker set on sear, melt 2 tablespoons butter over medium heat. Add onion and garlic, sauté until translucent, about 4 minutes. Add rice and cook, stirring, 1 minute more. Add wine and cook until wine evaporates, about 30 seconds. Add 3 cups of chicken stock; season with salt and pepper. Secure lid. Set pressure cooker on rice setting for 10 minutes. Vent pressure, then remove lid. Reset to sear setting and stir in shrimp with remaining 1 1/2 cups broth, and cook until shrimp are opaque, 3 to 5 minutes. Stir in cheese and remaining 2 tablespoons butter. Finish with herbs and serve immediately.